Sales for calendar-year 2018 continue to be strong and are running neck and neck, year-to-date, with 2017 sales. Even if 2018 sales do not exceed those of 2017, they will most likely be greater than those in 2016, the second-best year in Australian history. New-vehicle sales in Australia hit an all-time high of 1.189 million vehicles sold. What made this achievement even more impressive was that it represented an unprecedented third year of back-to-back record-breaking sales that now extends consecutively from 2015, 2016, to 2017. 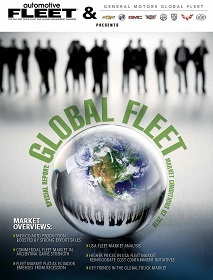 The strongest segment driving Australian new-vehicle sales is the fleet market, which dominates the market, with 52% of all vehicles sold in 2017 being acquired by business, government, and rental buyers. Sales for calendar-year 2018 likewise continue to be strong and are running neck and neck, year-to-date, with 2017 sales. 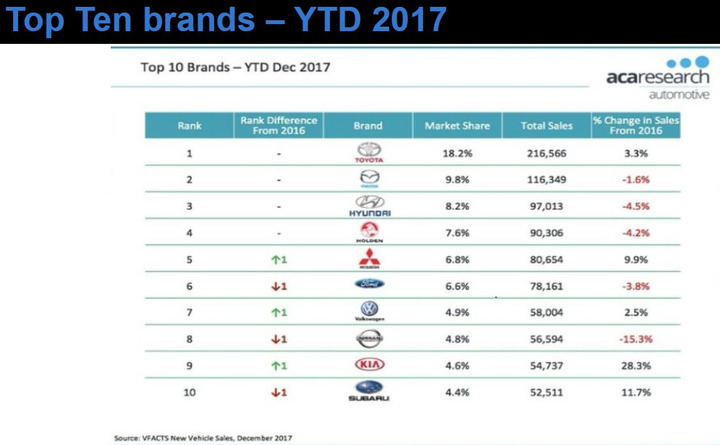 Even if 2018 sales do not exceed those of 2017, they will most likely be greater than those in 2016, which was the second best year in the history of Australian automotive sales. 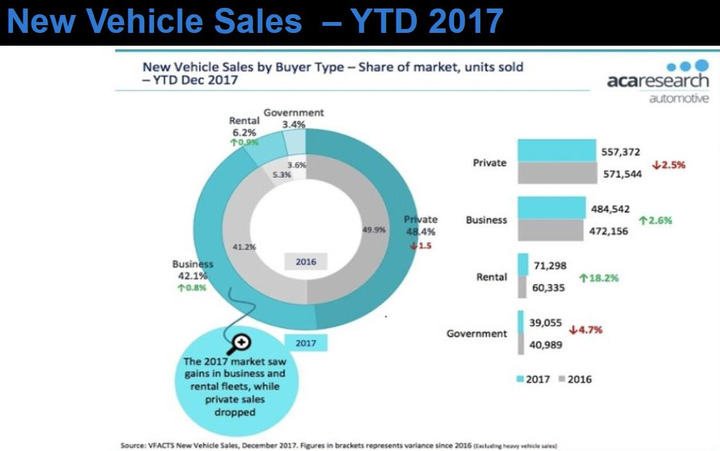 New-vehicle sales in 2018 are very strong due to low interest rates, tax breaks for light commercial vehicles (LCV), and a hyper-competitive market that is incentivizing new-vehicle sales. The use of incentives to stimulate sales was best exemplified in June 2018. In the Australian market, June is a strong automotive sales month because it is the last month of the financial year. Traditionally, auto dealers look to clear inventory in June using end-of-financial-year incentives. 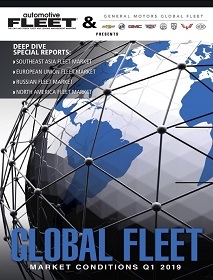 Similarly, the month of June is also a strong month for fleet sales since many companies likewise look to acquire assets before the close of their financial year. During this period, SUVs and Utes were the hot sellers as businesses and consumers took advantage of these special end-of-the-financial-year incentives. While SUV sales are booming in 2018, there has been a corresponding plummeting demand for passenger cars, which registered lower sales across all of Australia. Hardest hit was the large car segment, which decreased 56.3%, and the medium passenger car segment, which declined 31.3%. A key reason why large cars continue to lose market share with fleets is due to their higher total cost of ownership (TCO) caused by lower resale values. Nowadays, the No. 1 selling vehicle in Australia is the Toyota HiLux, followed by the Ford Ranger and Mitsubishi Triton, all three of which are also purchased by businesses for fleet use as light commercial vehicles. While SUV sales are booming in 2018, there has been a corresponding plummeting demand for passenger cars, which registered lower sales across all Australia. Hardest hit were the large car segment and the medium-car segment. In 2017, Australians bought 465,646 SUVs for a 39.2% share of the total market, compared with the sale of 450,012 passenger cars with a 37.8% share. This acquisition trend is continuing in 2018, making SUVs a consistent growth category that is now the leading segment in new-vehicle sales. For the first half of 2018, SUVs have a market share of 42.8%, against 33.4% for passenger cars. 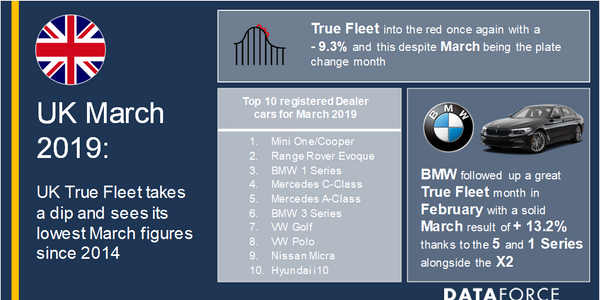 SUVs have gained market share, particularly over the past five years, due to their popularity among both retail and fleet drivers, resulting in higher resale values that put downward pressure on their total cost of ownership. This has stimulated the introduction of a number of new SUV models in Australia. One example is the Equinox, which Holden launched in late December 2017. The five-passenger Equinox replaced the aging Captiva 5, which it sourced from Mexico. Holden’s expanded SUV lineup now includes the all-new Equinox, together with the Trax and Trailblazer. In the third quarter 2018, Holden will add another SUV – the Acadia – to its product portfolio. A key factor driving the growing popularity of SUVs and Utes in both the retail and fleet markets is that OEMs are designing them to be more car-like. “We’re seeing a shift in the market with light commercial vehicles driving more like passenger vehicles. Today, the light commercial vehicles that are coming into the country are now all five-star crash-rated and are equipped with the safety features you would find on a passenger vehicle,” said Adams. For those unfamiliar with the term “Ute,” it is an abbreviation for “utility,” which is used in Australia and New Zealand to describe a two-wheel-drive, traditional passenger vehicles with a cargo bed in the rear integrated with the passenger body; as opposed to a pickup truck whose cargo bed is not integrated with the passenger body. Another new segment being introduced in the Australian market is the American-style full-size pickup truck. In July 2018, Holden launched the Chevrolet Silverado two- and four-door pickup trucks. 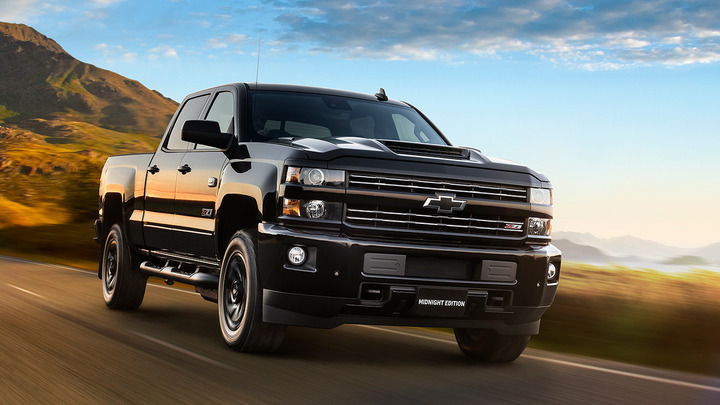 The pickups, which went on sale in July, are marketed as a Chevrolet Silverado. The four-door model is sourced from Mexico and the two-door model from the U.S.
Australia’s economy entered its 27th year without a recession in the first quarter of 2018. A key factor behind this continuous, uninterrupted growth is Australia’s robust trading relationships with the strong growth markets in the Asia-Pacific region, especially China. Facilitating this trade is Australia’s free trade agreements with 16 countries, including China, South Korea, Japan, and the U.S. It is currently negotiating additional free trade agreements with Indonesia and India, among others. 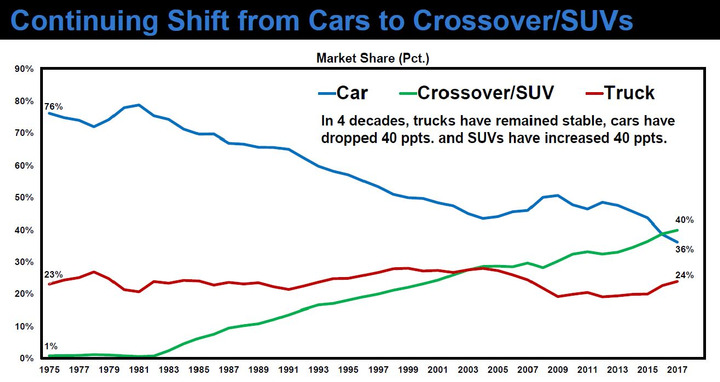 Studies have shown a strong relationship between economic growth and new-vehicle sales volumes. The willingness to buy a new vehicle by both retail and business buyers is often an indicator of consumer confidence fostered by a strong economy. Australia has an annual gross domestic product of A$1.8 trillion that is mainly based on services and mining, making it the 12th largest economy in the world. Although Australia’s economy is dominated by the service sector (65% of total GDP), the country’s economic success in 2018 has been based on the resurgence of mining (13.5% of GDP), construction (8.1% of GDP), and agriculture (2% of GDP). Australia’s key exports are commodities and raw materials, with China consuming much of these resources. In addition to China, Australia’s other largest trading partners in 2018 are Japan, India, Taiwan, and New Zealand. Local vehicle manufacturing and assembly ceased in Australia in October 2017. Following this cessation, Holden, Ford, and Toyota transitioned into becoming national sales companies. Holden continues to employ approximately 1,000 direct staff, as well as a workforce of 350 people working on projects for local consumption and global programs. The Australian mining industry exports peaked in 2012 when there was a boom in commodities demand and prices. But the industry slumped into the doldrums for the past several years when commodity prices declined and demand from China decreased. 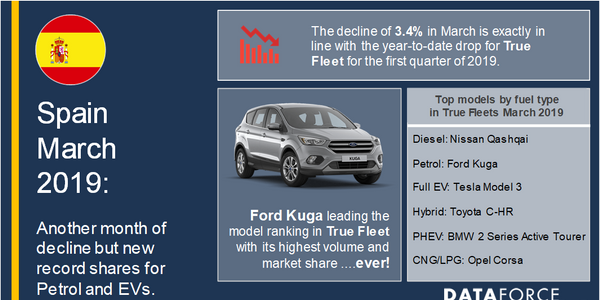 The slowdown in business activity in this segment has also impacted the business activity of other companies, similarly resulting in flat demand for fleet vehicles. However, commodity prices started to increase in 2017, which has reinvigorated the Australian mining and extraction industry. Due to the deferred vehicle purchases, there is now pent-up demand for fleet vehicles in the extraction and mining sector to replace aging units. An example of a model that is in high demand in the mining industry is the Holden Colorado cab chassis and pickup because of its rugged build, 4x4 capability, and diesel powertrain option. There are 2.1 million businesses in Australia, with small and medium enterprises representing the largest segment. The Australian economy is dominated by its service sector, which employs 80% of the labor force. Australia’s largest industry sector and labor force is Health Care and Social Assistance. This is being predominantly driven by Australia’s aging population and the push of the Federal government to provide consumer-directed in-home care services, which are delivered to them as opposed to moving them into residential aged care facilities. “This means more health workers needing more cars to travel more kilometers. 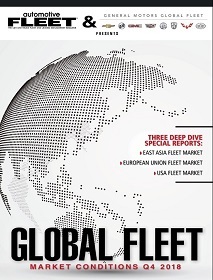 This sector has always purchased light passenger vehicles and is now increasing the numbers of SUVs for reasons of mobility and egress for their customers, as well as SUVs being the preference by the predominant female staff in this sector,” said Lee Sauerwald, president of the Australasian Fleet Management Association. Another significant business category is construction with 345,479 construction companies in operation in Australia, which are large buyers of light commercial vehicles. There is an ongoing construction boom on the east coast of Australia, which is fueling fleet vehicle sales to this sector. There are no definitive numbers as to the size of the Australian fleet market, but it is estimated by ACA Research that there are 19,000 businesses operating fleets with 20 vehicles or more with a total of 2,162,000 vehicles in operation. It is estimated by ACA Research that there are another 400,000 businesses operating fleets of fewer than 20 vehicles. Fleet sizes in Australia can range from fewer than 20 units for small and medium enterprises to mega-fleets exceeding 1,000 vehicles. Larger fleets tend to be more prevalent in the telecommunications, logistics, and utility industries. One key component of the Australian fleet market is tool-of-trade vehicles (ToT), known elsewhere in the world as utility or work vehicles. There is an ongoing trend among tool-of-the-trade companies to downsize by operating fewer vehicles in their overall fleets. Typical annual kilometers average 30,000 to 40,000 kilometers (approximately 18,640 to 24,000 miles) per year for tool-of-the-trade or business vehicles. Passenger vehicles average around 15,000 to 20,000 kilometers per year (approximately 9,320 to 12,427 miles). ● Mining and construction industries primarily use light commercial vehicles (LCVs) and SUVs. ● Telecommunications and utility industry fleets are primarily comprised of passenger cars and LCVs. ● Daily rental fleet primarily use passenger cars, but the SUV and crossover segment is a growing rental segment. ● Political subdivisions, such as federal, state, and local governments, along with not-for-profit organizations. The biggest challenge reported by Australian fleet managers is reducing total cost of ownership (TCO), as senior management exerts ever-increasing pressure to contain fleet costs. In addition, driver safety has become a greater concern to Australian fleet managers and is now viewed as their second-highest challenge. One way to increase driver safety is through technology, such as OnStar, which will be available in the Holden portfolio of vehicles in 2019. Other challenges facing Australian fleet managers is CO2 reduction and compliance with government-mandated occupational, health, and safety regulations. Another segment being introduced in the Australian market is the American-style full-size pickup truck. In July 2018, Holden Specialty Vehicles (HSV) launched the Chevrolet Silverado two- and four-door pickup trucks. The pickups are marketed as a Chevrolet Silverado (pictured). 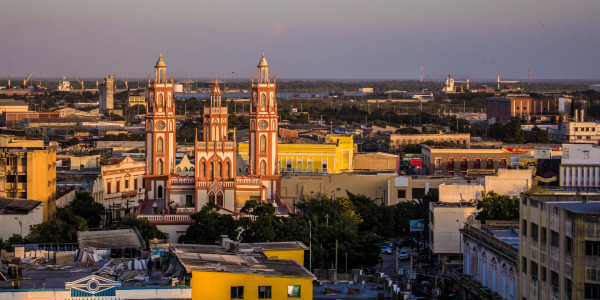 The four-door model is sourced from Mexico and the two-door model from the U.S.
For the past decade, there has been an acquisition trend by fleets to downsize to the smallest vehicle segment capable of fulfilling the intended fleet application. Similarly, there has also been a trend to downsize to smaller displacement engines when applicable and feasible. “There is an ongoing trend for tool-of-trade fleets to continue to downsize the vehicles they operate,” said Adams. A long-time fleet trend in Australia has been engine downsizing to four-cylinder engines. Six-cylinder cars are rapidly disappearing in Australia. The reason is because of the fleet focus on cost reduction and CO2 emissions. Six-cylinder tool-of-the-trade vehicles are now limited to fleet buyers who have a towing requirement. A good example of the migration from six-cylinder to four-cylinder engines is the introduction of the all-new Holden Commodore, which was launched February 2018. The new generation Commodore is now four-cylinder car, with diesel variants available, which Holden says opens up other market opportunities for it. “We’ve also got the police pack available for the Commodore for police jurisdictions. The Commodore has got a really good take up in the government space,” said Adams. Leasing is a popular form of fleet vehicle funding. The primary fleet lease in Australia is an operating lease with services, known in the U.S. as a closed-end lease. Another form of funding in the Australian fleet market is a silent leasebacks where a company will sell its vehicles to a lessor and then lease them back. 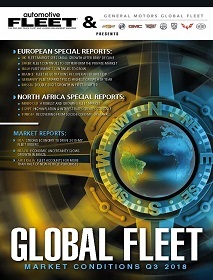 Procurement, as elsewhere in the world, has gained increased influence in fleet purchase decisions in Australia. 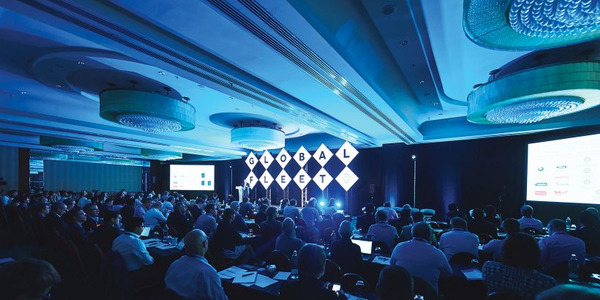 “As purchasing teams control the acquisition process, there has been a trend to commoditize tool-of-the-trade vehicles,” said Adams of Holden. Tenders are the norm for major corporates with shorter contractual arrangements. “More customers are moving to either a short-term tender process or long-term arrangements. They’re also using e-auctions,” added Adams. An on-again, off-again trend is to dual-source from several OEMs. “A panel of providers, such as two or three brands is becoming more common, which allows for mini tenders within the contract period,” said Adams. 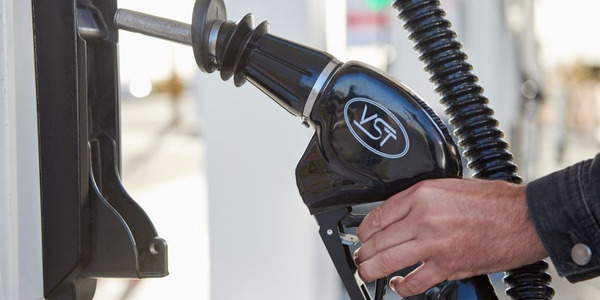 Although acquisition costs are a key factor, fleet application, fuel economy, CO2 emissions, safety, and overall TCO continue to play important roles in the purchase decision-making process. “When selecting vehicles, fuel consumption and CO2 emissions are still on the radar for most fleets,” said Adams. Hybrid vehicle sales are starting to take off in Australia. Toyota with the Camry Hybrid is having success in the market, particularly with corporate fleets. The Australian government is also changing its buying policies. “Many governments were buying locally produced cars because that was their policy. Now that there has been a cessation to manufacturing and these auto makers have become national sales companies, it opened the door for governments to buy any vehicle they want,” said Adams. Because Australia had local automotive manufacturing for the better part of the last century, there’s been a “Buy Australia” policy at state governments, local councils, and some of the not-for-profit organizations, as well as some corporations. The reason for the government subsidies to the automakers was to support local employment at the assembly plants and to encourage economic growth within Australia. Once local automotive manufacturing ceased, vehicle selection options open up for many fleets that previously had to adhere to a “Buy Australia” policy. A unique funding method in Australia is the novated lease. Novated leasing came into being after the Labor government introduced Fringe Benefits Tax (FBT) in 1986. A novated lease is a three-way lease between the employer, employee, and the financier, whether it be an FMO or a packaging company. The obligations to meet the repayment under the lease sit with the employer, with the employee sacrificing a portion of salary to cover the lease rental. A novated lease can be structured as either a finance or operating lease. New-vehicle sales in 2018 are very strong due to low interest rates, tax breaks for light commercial vehicles (LCV), and a hyper-competitive market that is incentivizing new-vehicle sales. Traditionally, auto dealers look to clear inventory in June because it is the last month of the financial year using end-of-financial-year incentives. 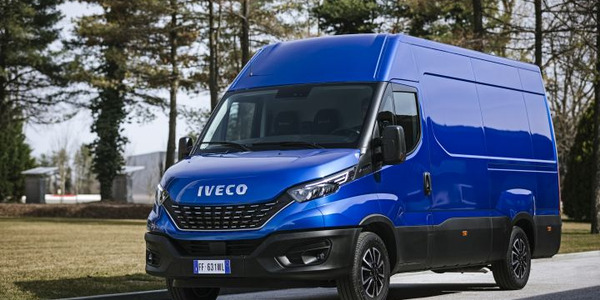 Similarly, the month of June is also a strong month for fleet sales since many companies likewise look to acquire assets before the close of their financial year. With a novated lease, the employee chooses a vehicle and lease option, either an operating or finance lease. The employer assumes all lease obligations and pays the lease rentals (and maintenance if included) to the lessor. Monthly lease rentals are deducted from the employee’s gross salary, which may lead to lower income tax and higher net salary. If the employee leaves the company, responsibility to make lease rental payments reverts to the employee. The employee has the right to take the vehicle with them if they change jobs. Novated leases are an increasingly popular form of vehicle acquisition over recent years. In the last 10 years, novated leasing has grown 10% to 15% year-on-year. A novated lease combines many features of more traditional forms of vehicle leases to deliver some attractive benefits for both employees and employers. Nowadays, novated leases are offered to a wider base of employees, where in the past, it was only offered to middle and senior managers. Now, the trend is to offer a novated lease to all staff. Some employers are using novated leases as an employee recruitment tool. A novated lease allows companies to improve salary packaging for staff, while transitioning away from offering “benefit” company-supplied lease vehicles. The tax income and goods and services tax (GST) benefits for the employee are significant, while the client company holds no responsibility for the vehicle if the employee should leave the organization at any stage. While novated lease arrangements are subject to fringe benefits tax, payable by employers, the savings for the individual typically make acquiring a new vehicle through a novated lease cheaper than purchasing a vehicle outright or acquiring it via traditional financing. Novated leases also generally allow individuals to package their fuel, insurance and registration costs into scheduled payments that are taken from pre-tax income. The company benefits in a couple of ways. First, there is no payroll tax on the sacrificed amount. There is a talent incentive to retain good staff, so in packaging the staff member can choose whichever car they like. The other upside is that the company is not incurring a capital expenditure and it has no exposure to the car, because when the employee leaves he or she takes the car with them. The segment of the fleet market that is growing is salary packaging. More and more employers are pushing vehicle responsibility onto employees by providing a car allowance that allows an individual to buy whatever car they want. 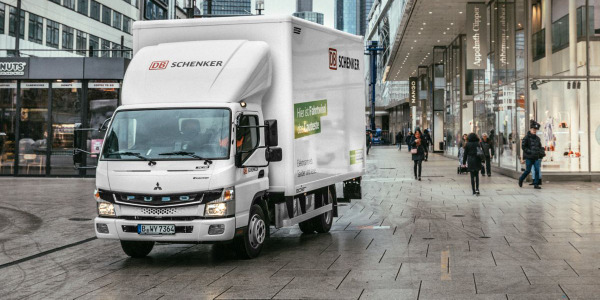 Salary packaging/novated leasing is a growing segment for the fleet user/chooser as fleets downsize and take their assets off the balance books. Local vehicle manufacturing and assembly ceased in Australia on Oct. 28, 2017. Three years earlier Ford, Holden, and Toyota decided they were unable to produce vehicles in Australia, given the high cost of labor and not enough incentives from the Australian government. It’s been reported in the local media that the Australian government subsidized about A$7,500 per vehicle. Given the average car coming off the production lines had been retailing at about A$30,000, it represented a substantial subsidy from the government. Although Holden has ceased local assembly, it still retains a significant engineering presence in the country and continues to operate the Lang Lang Proving Grounds in Victoria, to ensure that Holden vehicles continue to be tuned for the unique driving conditions in Australia and New Zealand. Holden is planning a new product onslaught by launching around 24 major vehicles and 36 new drivetrain combinations by 2020. GM recently announced that it will upping its investment in its Holden engineering teams by $28 million. Following the cessation of local manufacturing, Holden, Ford, and Toyota transitioned into becoming national sales companies. In the case of Holden, it continues to employ approximately 1,000 direct staff. In addition, Holden retained a design and engineering workforce of 350 people working on projects for local consumption and global programs. 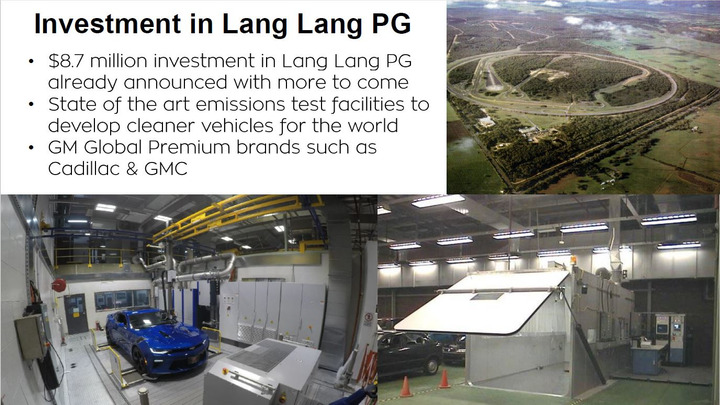 Although Holden ceased local assembly, it retains a significant engineering presence in the country and continue to operate the Lang Lang Proving Grounds in Victoria, to ensure Holden vehicles continue to be tuned for the unique driving conditions in Australia and New Zealand. Holden is planning a new product onslaught by launching around 24 major vehicles and 36 new drivetrain combinations by 2020. The key remarketing channels in Australia are auctions, wholesale tender, retail yards, and novated lease remarketing. The estimated size of the used-vehicle market in Australia is approximately 3 million units sold annually. The used-vehicle market improved significantly in the fourth quarter of 2017 and continues to be strong in 2018. Growth in used-vehicle wholesaling has been 3.7% per year over the past five years, with growth for 2018-2019 forecast to be 5.2%. Strong consumer demand and the construction boom that’s continuing on the east coast are among some of the reasons for strong resale values. When remarketing vehicles in Australia, as is also the case in other global markets, a multi-channel strategy is recommended that includes both online and brick-and-mortar sales. According to Pickles, a major auction chain in Australia, 15% of all fleet and government vehicles were sold through fixed price and achieved a 7% higher return than auction. Australia has seen six changes of prime minister over the past decade and has not had a prime minister complete a full three-year term since 2007. Australia’s revolving door of political leadership has created policy uncertainty, especially with energy policy. There has been 10 years of political deadlock over climate and clean energy policies. The failure to implement a stable carbon policy over the past decade has resulted in underinvestment in energy generation, which has led to higher power prices. Despite this uncertainty, CO2 continues to be a very hot topic in Australia. Sustainability continues to be a strong initiative among fleets in Australia. There will be national elections in 2019 and it is unclear what the government’s policies will be in terms of the auto industry and its related industries, namely the fleet market. Car sharing has been gaining acceptance in urban areas around the world and Australia is no exception. 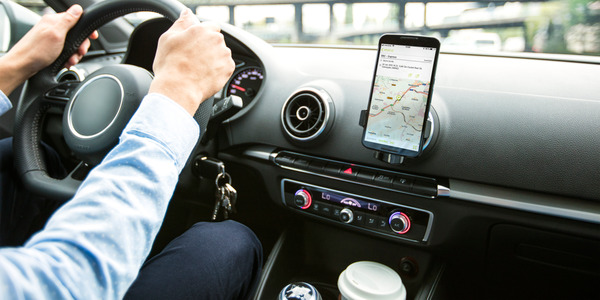 One example is offered by Holden, which has taken a leadership position with the next generation mobility technology through General Motors’ Maven, an on-demand mobility sharing service available through an app. GM is the parent company of Holden. Using the Maven platform, Holden successfully introduced Maven Gig in Australia on April 10, 2017. One year after the introduction of Maven Gig, Holden had 1,000 active members in the cities of Melbourne, Sydney, Brisbane, and Adelaide. The service is geared to “gig-economy” drivers, such as UberX or delivery drivers looking to earn extra money on the side, but who don’t have the money to buy a car for the job. Holden uses the term “side hustle” in its official materials to describe the work performed by Maven Gig members. Maven Gig offers flexible leasing terms with insurance, scheduled servicing, roadside assistance, and no kilometer limits.